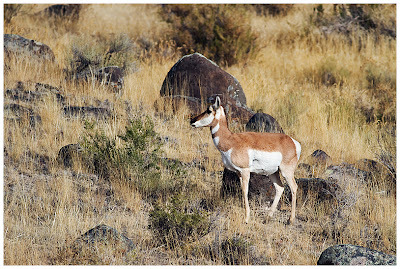 After standing on the bank of a nearby river in Yellowstone National Park, a female Pronghorn Antelope slowly makes her way up hill. 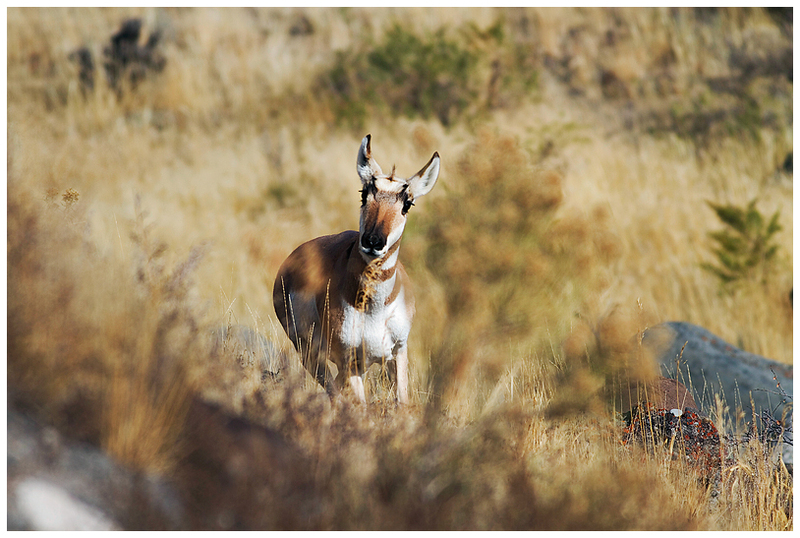 The beautiful Antelope gave me plenty of opportunities to photograph her in flattering positions. The image featured above is one of my favorites from the encounter, she is posed perfectly within a scene that compliments her coat. The image below features the same Pronghorn in a frontal view that accentuates her delicate facial features . I hope you enjoy these photographs of such an amazing and interesting animal. Above: Canon 7D, Canon 400 F5.6L lens, ISO 100, F/5.6, 1/640th. Below: Canon 7D, Canon 400 F5.6L lens, ISO 100, F/5.6, 1/640th.